Having heard suggestions during the City of Sarasota’s Development Review Committee (DRC) meeting this week for a few more tweaks, Martin Frame remains optimistic about opening model homes in the proposed Payne Park Village on School Avenue in the summer of 2018, he told The Sarasota News Leader on Jan. 4. If all continues to go well with the staff review, Frame told the News Leader, he is hopeful the project will win approval of the city Planning Board and then the City Commission before the end of this year. The manager of Quincy Real Estate Holdings, which owns the site of Payne Park Village, continues to be Ronald Burks of Sarasota. 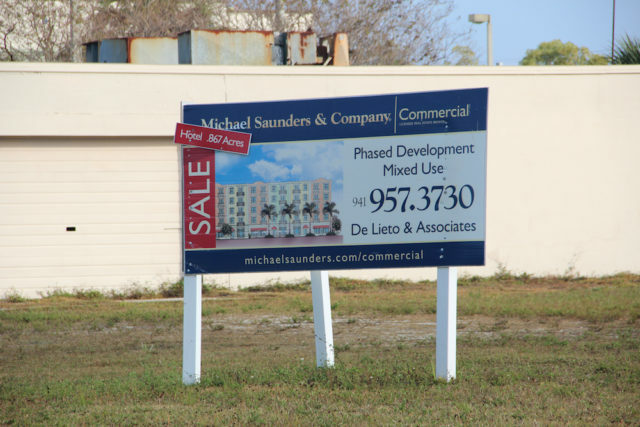 About a decade ago, Burks sparked controversy with his original proposal for 450 condominiums in towers as tall as seven stories on four parcels, including the area where David Weekley Homes plans to build 135 detached and attached single-family homes. The Weekley site encompasses the former home of Scotty’s hardware store, which stood at 325 S. School Ave.
After a number of meetings with residents, Burks finally pared down his plan to encompass 238 town homes, 120,000 square feet of office space, a 100-room hotel and about 19,300 square feet of shops, the Sarasota Herald-Tribune reported in March 2009. 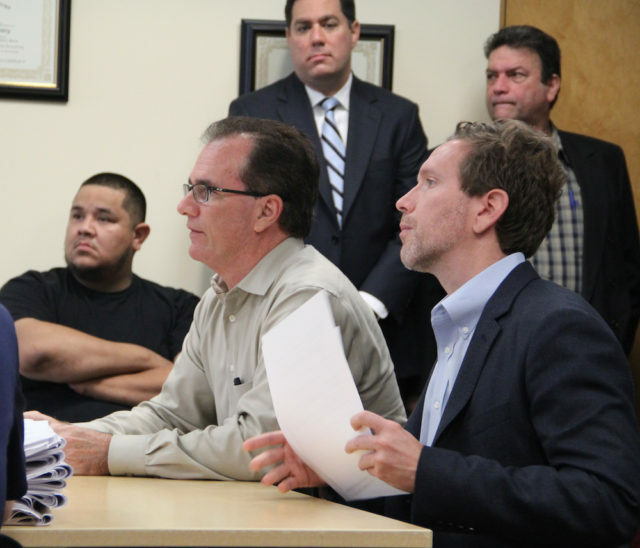 That version — the last of more than 50 iterations — won City Commission approval on a 4-1 vote. After all that effort, however, Burks never ended up breaking ground. He eventually chose to put two of the parcels on the market, which led to the David Weekley Homes plan. Frame told the News Leader the firm began its initiative about 18 months ago. “We’ve worked pretty closely with the neighborhoods,” he added. Only one person who lives near the Payne Park Village site was present for the Jan. 4 DRC meeting, to the News Leader’s knowledge: Stan Zimmerman, the News Leader’s former city editor and an active member of the Alta Vista Neighborhood Association. Zimmerman said the president of that organization did send out an email blast to let residents know the matter was on the agenda that day, but Zimmerman added that he has not heard any disagreement over the latest proposal. During the meeting, Freedman responded to a number of comments by noting that the requested information inadvertently had been left off the engineering drawings before the city staff members. For example, the sprinkler system “should have been shown,” Freedman told Larry Murphy, the city’s Building Official in the Neighborhood and Development Services Department. Senior Arborist Mark Miller also noted that the development will have to work around two grand trees on the property. At the head of the table in City Hall, city Chief Planner Lucia Panica told Freedman she would continue to work on zoning and planning issues related to the project. “Great! Thank you,” Freedman said. As noted on status lists for Planning Division projects, Payne Park Village involves a total of four parcels on School Avenue; staff has been reviewing the proposal for modifications to Burks’ previous development agreement with the city involving the site. 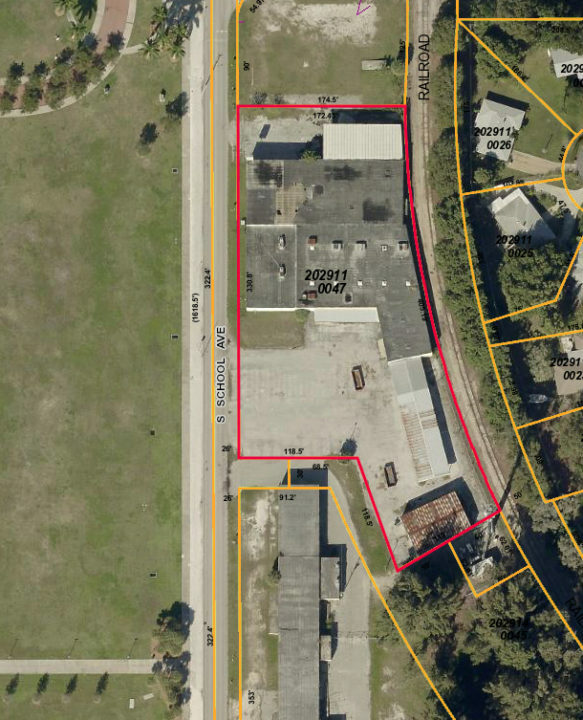 Although the total property for Payne Park Village encompasses 9.55 acres, according to city documents, the modifications sought by David Weekley Homes pertain only to 8.68 of the acres, which is zoned Downtown Edge. Freedman sent a letter to city staff on Nov. 30, 2016 — following a Nov. 2, 2016 DRC meeting — that detailed changes to the 2009 development agreement. Freedman wrote that Quincy and Weekley “have entered into a contract” that calls for Weekley to buy the portions of the original project site that lie south of Shopping Way. Weekley is interested only in developing residential units, Freedman added. Its proposal would eliminate the 55,000 square feet of office uses and 19,300 square feet of retail uses, Freedman wrote, along with reducing the number of dwelling units by 103. In his Nov. 30, 2016 response to a comment made during the Nov. 2, 2016 DRC meeting about the timeline for the Weekley project, Freedman referred staff to the draft amended development agreement he had submitted. Under the aegis of the Florida Statutes, he wrote in that document, the expiration dates for the 2009 ordinance the City Commission approved — and the associated entitlements — have been extended to April 27, 2020. 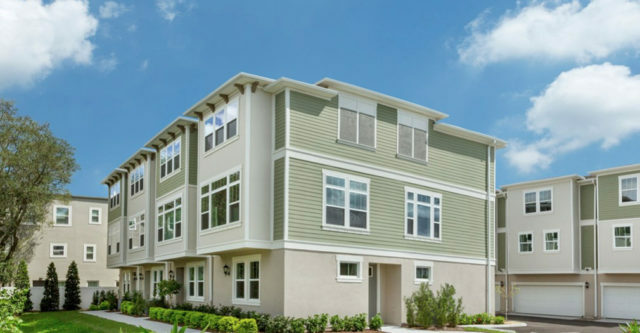 David Weekley Homes is based in Houston, but it has an office in Sarasota.